If you’re embarrassed to smile because of broken, discolored, or uneven teeth, veneers may be the solution. Dr. Rasmi Akel at Perfect Smile Dentistry has extensive experience improving the appearance of teeth using veneers and Lumineers to strengthen and brighten your teeth. Contact one of his offices in Wellington and Boynton Beach, Florida, or schedule an appointment online to learn how veneers and Lumineers can give you teeth that will make you proud to smile. A dental veneer is a very thin layer of material used to cover the surface of your teeth. Veneers improve your smile by hiding chipped and broken teeth and covering discolored enamel. They’re also used to hide spaces between teeth and to make crooked or uneven teeth appear straight and aligned. Dr. Akel may recommend veneers if your tooth enamel has eroded from acidic foods, drinks, or stomach acid associated with gastroesophageal reflux disease. Veneers improve your appearance by replacing the worn down enamel and restoring strength to the tooth. What materials are used to make veneers? Dental veneers are made of porcelain or composite resin. Both materials match the color of your teeth, but porcelain has a translucent quality that resembles your natural enamel more closely than resin does. However, when choosing between these two materials, there are other things you should consider. Composite veneers cost less than do porcelain ones. They’re sculpted onto your teeth and then hardened using a special light. Through this process, your natural tooth requires minimal reshaping or preparation to accommodate the resin. Porcelain veneers are stronger and more resistant to staining than are resin veneers. However, teeth require more preparation for a porcelain veneer. A thin layer of enamel must be removed to create space for the veneer, and then digital technology is used to scan the tooth and produce the veneer. Lumineers are a type of porcelain veneer. They’re super thin — contact-lens thin — so they can be applied directly to your teeth without removing any of the existing enamel. Even though they’re thin, Lumineers are just as strong and last just as long as regular porcelain veneers. Composite resin veneers last about seven to 15 years. Porcelain veneers and Lumineers, on the other hand, can last 20 years or longer. However, all types of veneers can break or crack, just like your natural enamel. Practicing good dental hygiene — regularly brushing and flossing your teeth — helps maintain veneers. You may also want to avoid chewing on hard objects like ice. Still, Dr. Akel will give you all the instructions you need about how to care for your veneers. 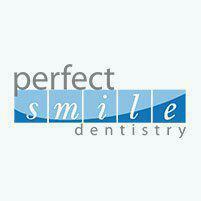 If your veneers become cracked or chipped, contact Perfect Smile Dentistry to schedule a check-up appointment. It’s important to repair the veneer as soon as possible because a damaged veneer lets decay-causing food and bacteria get into the remaining tooth.